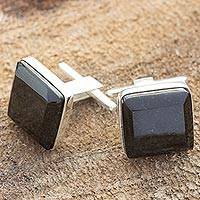 Add a touch of amethyst class to your dress shirts with these handsome cufflinks from India. 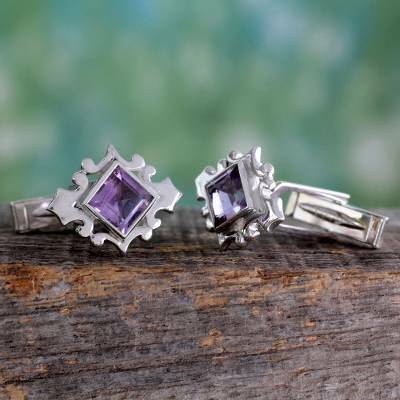 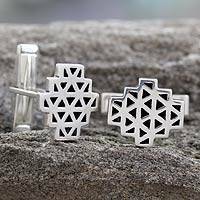 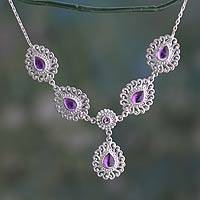 Designed by Shubhra Singh, these cufflinks are handcrafted with multi-faceted square cut amethysts set in a uniquely patterned Sterling Silver cut shape. 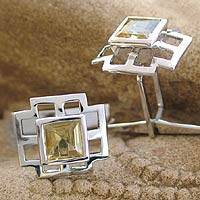 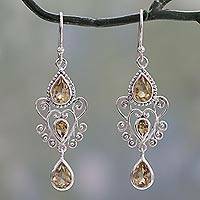 Dress up your wardrobe with these handsome sparkling gems, they are sure to be an asset to your jewelry collection.